The Honda Activa I brings you a cool and trendy adventure to fly freely towards your dreams. 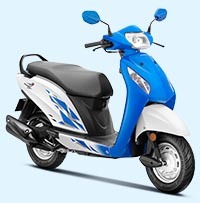 Well-equipped with advanced features such as Seat Opening Switch, spacious Underseat Storage and host of other features, the compact and suave Activa I gives you an experience of a lifetime by adding more comfort to your ride. 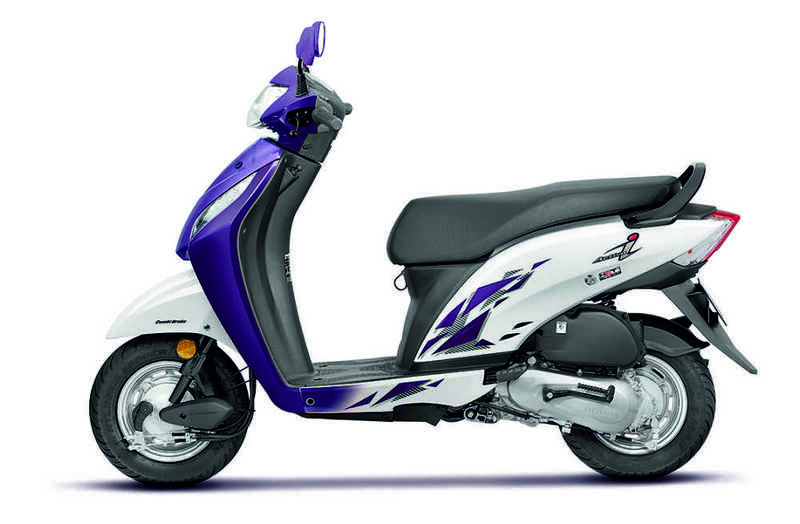 Its vibrant colours and stylish graphics make heads turn wherever it goes. So what are you waiting for? Take-on a new adventure with the super-elegant Activa I. 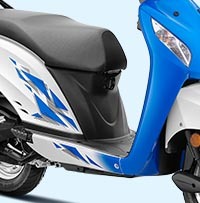 Compact design of Activa i adds more comfort and confidence to the ride. Show off your colorful ride with dazzling dual tone colors. Contemporary and Unisex graphics give Activa i a very stylish and energetic feel. 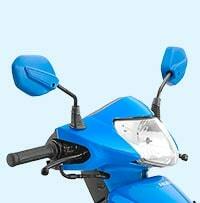 See the world reflected in the same color as your scooter, with attractive rearview mirrors. Vibrant double tone instrument panel is a real beauty. 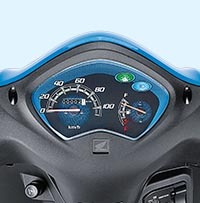 One simple glance and it provides all the required information to the rider. 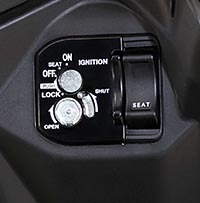 Convenience at your fingertips with a smart seat opening switch in the front. 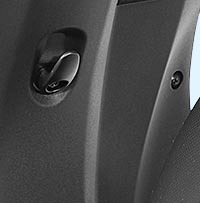 Carry your stuff around with ease in the 18L storage space. 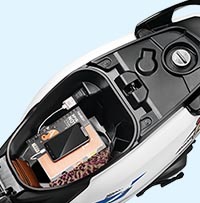 The new Activa I has a smart hook on which to hang anything you need to carry. 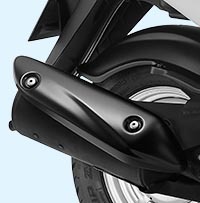 Stylish new metal muffler protector that’s durable and gives the design an edge. 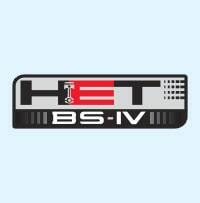 This ensures a shorter braking distance with more stability. 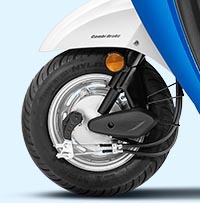 The Equalizer, unique to Honda, gives you perfect balance while braking. 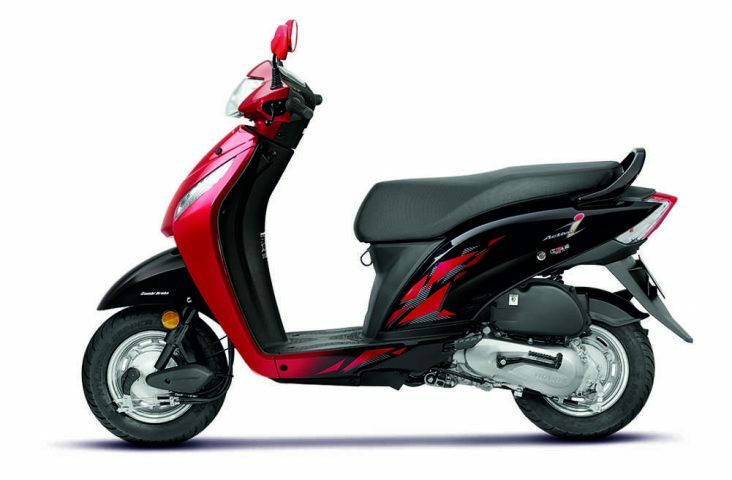 Compliant with BS-IV norms, the new Activa I comes with Honda Eco Technology which ensures optimum performance and superb mileage. Copyright © 2015 - B. U. Bhandari Autolines Pvt. Ltd.